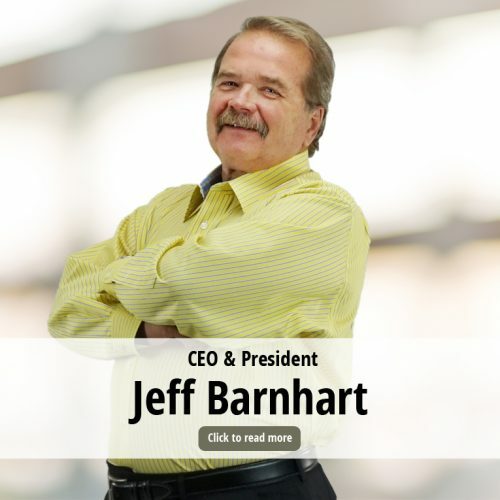 Thirty years ago, founding father Jeffrey Barnhart, ignited Creative Marketing Alliance to help other companies grow and achieve their strategic imperatives through innovative marketing and communications. Jeff has led the agency through years of success by providing expert guidance to organizations of all sizes and industry backgrounds across the globe. With Jeff at the helm, the agency has grown exponentially over the years, mostly in the past decade, keeping pace with the ever-changing means for providing powerful solutions for building businesses. Brag time – Being recognized as the Outstanding Small Business of the Year by the MIDJersey Chamber of Commerce is an honor that CMA proudly accepted. Jeff has also been named Small Business Person of the Year by the Princeton Regional Chamber of Commerce, appointed to the Small Business Council of the U.S. Chamber of Commerce, was a regional finalist for Inc. magazine’s Entrepreneur of the Year award and received the American Red Cross Richard B Mack award for communications excellence. He also served two terms as President of the American Diabetes Association Central Jersey Chapter, leading many of the Chapter’s fundraising activities. Jeff played a pivotal role in the integration of marketing and sales through three company mergers at Philips Lighting and the launch of one of the first energy-efficient, environmentally beneficial lighting products in the U.S. market. He has created brands, launched companies, created new programs and introduced new products for a variety of companies from Fortune 100 to startups. He was instrumental in introducing the EPA Green Lights program, the first voluntary government program that advocated using new lighting technologies to reduce electricity demand – the precursor to the current Energy Star program. Realizing a void and seizing an opportunity in the transaction card industry, he created, branded and launched the International Card Manufacturers Association, which today boasts 240 member companies in 39 countries around the globe and is known as the Voice of the transaction card industry. An avid boater and fisherman, don’t look for Jeff on land during the weekends. If you’re offshore in the Atlantic or Gulf of Mexico, you may catch a glimpse of the Captain with the poles in the water searching for the best catch of the day. Three four-legged, furry friends are Jeff’s kids, who frequently tag along to work to hang out with their friends. Jeff brings the play hard culture to the office, picnicking throughout the summer with the crew. As an innovative business professional with more than 20 years of experience, Christian leads the execution of CMA’s strategic business plan with a focus on profitability and growth. In his dual role, Christian is shaping the company’s overall business vision, analyzing expansion opportunities and delivering growth. He oversees the organization’s daily operations, including the marketing, association management, human resources and finance business units. 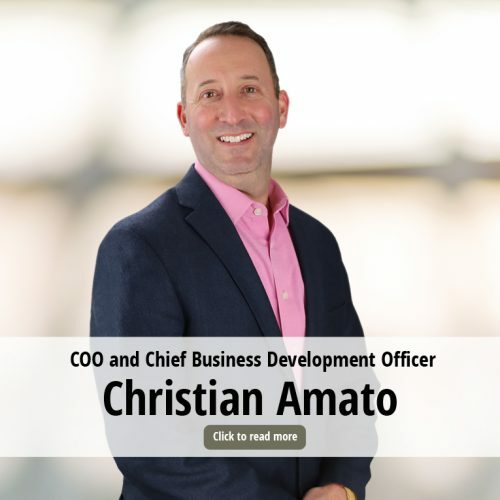 Brag time – Christian’s executive experience has touched a broad range of industries from financial services, disaster recovery and resiliency planning, residential building, in vitro fertilization and lighting manufacturing. He has served in roles as vice president of finance and U.S. general manager for Origio and as chief financial officer for Brite Star Manufacturing Company. During hockey season, you will find Christian propped at the Flyer’s games or lacing up his skates to play a bit of ice hockey himself. In the off season, he trades his ice hockey cuts and bruises for the more refined sport of golf. If asked to choose just one favorite activity, surfing would win, hands down. His true passion is being in the ocean regardless of the conditions. Dan is a strategic, data-driven innovator of digital campaigns that focus on acquisition not just traffic. 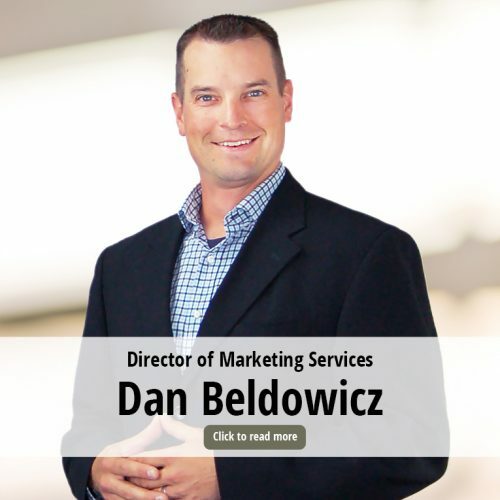 As the director of marketing services, Dan translates your business goals into digital solutions that drive results. Brag time – Dan’s digital marketing strategies have transformed client websites, increased quality traffic, qualified leads and grown revenue for luxury brands like Savant Systems, billion dollar automotive groups and industry leading training companies. Dan’s four children keep him and his wife on their toes! When he is not in the office you can find Dan on a ball field coaching baseball or softball, hiking, biking or finding another adventure with his family. In addition to his insurmountable expertise leading CMA’s public relations and social media activities, Ken’s uncanny ability to generate innovative communications initiatives that catapult client awareness and revenue has positioned the team on a platform of continued success. Ken is a strategic communications professional who protects and promotes brands for mission-driven organizations. He has led the team to record media placements and developed a ground-breaking e-mail publication program that will provide clients with advanced return on investments. 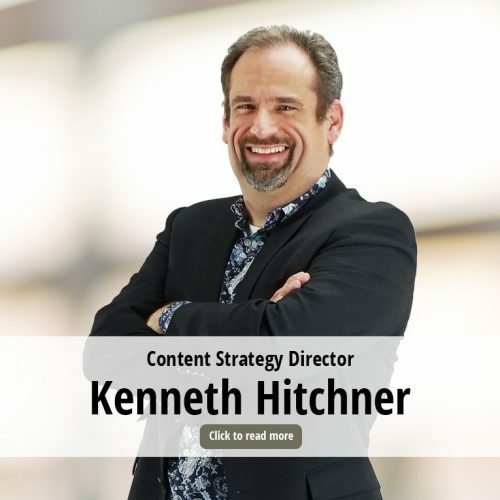 Brag time – As chief content officer for the Professional Service Group of Central NJ, Ken built strategic relationships that turned a defunct state program into a 501(c)(3) nonprofit that puts downsized professionals back into the workforce every 58 hours. In addition to media placements, a social media campaign created an opportunity for the nonprofit to meet President Barack Obama’s Secretary of Labor in Washington, D.C. The discussion resulted in President Obama asking 300 CEOs to sign a pledge to relax hiring practices in regard to the long-term unemployed. Rutgers University Alumni Association honored Ken’s efforts with a leadership award. Do not let Ken’s debonair attire nor his silent, observatory demeanor fool you! When the spotlight goes on, the bet is Ken will let his hair down, so to speak. Ken enjoys planning unique and exciting vacations for him and his wife while constantly thinking about the next venture to check off the bucket list. From China to New Orleans, you will find Ken immersed in the culture, away from the tourists for a true taste of his environment. Oh, let’s not forget the movie star role Ken played in the TV show Law and Order. Erin leads CMA’s client service efforts by managing the business unit operations and budgets; ensuring brand awareness; leading client strategy development and execution; providing creative direction/strategies; establishing and attaining strategic goals and leveraging her expertise in account management. 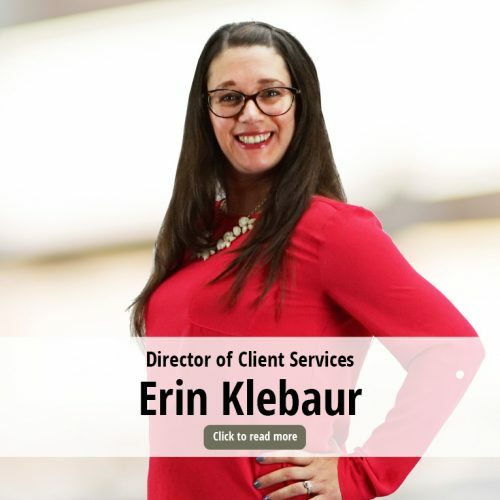 Her growth through the agency over the course of 10+ years has provided Erin with a profound knowledge that she harnesses to direct and execute client delight and award-winning programs. Her team of creative marketing professionals help drive the vision and deliver excellent results for CMA clients. Brag time – Erin was instrumental in establishing CMA’s Brandstorm program, a complimentary marketing consultation that is offered to business prospects. During her tenure, Erin played a significant role in contributing to CMA’s successful journey of 100+ awards for marketing excellence, most recently the Outstanding Small Business of the Year award as well as her own award including SNJ Business People’s Top 40 Under 40 honor, the New Jersey Advertising Club’s Jersey’s Best MARCOM Professionals under 40, SNJ’s Top Women in Business, and as a finalist with honorable mention for the Young Professional of the Year by the MIDJersey Chamber of Commerce’s midJersey Business magazine. Erin’s twin boys, Wyatt and Luke, arrived in May 2016, shifting Erin’s “play hard” time to a new direction. She is basking in her dual role as Mom and career woman. Erin cherishes her family time and surrounds herself with good friends and laughter. 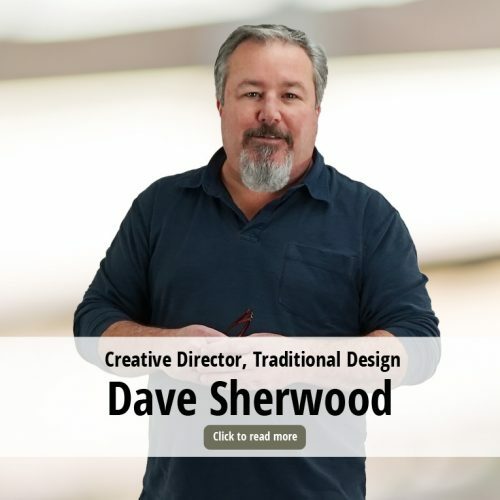 Dave’s masterful ability captures your ideas to deliver conceptual and engaging solutions for all facets of communications, sales materials and corporate brand identity programs. As a creative liaison for the agency, Dave has been driving the design solutions for our clients nearly since the agency’s inception. Brag time – Dave’s proven award-winning creative talent has won him close to 150 awards for his design efforts from such industry professional organizations as the Philly Gold Awards, the New Jersey Advertising Club, the New Jersey Communications, Advertising and Marketing Association, the Jersey Shore Advertising and Public Relations Society and the International Association of Business Communicators. Dave’s dog, Babe, brings true meaning to “a man’s best friend”. Babe joins Dave at work nearly every day, only staying home in inclement weather. Outside of work, Dave’s daughter, a recent graduate from Rowan University, joins him on deep sea fishing excursions. Dave’s zest for the Green Bay Packers keeps the football rivalry alive and well at CMA. Tricia is responsible for creating new client business opportunities, developing strategic marketing recommendations for client proposals, preparing and presenting new client proposals, as well as identifying and pursuing new market opportunities. 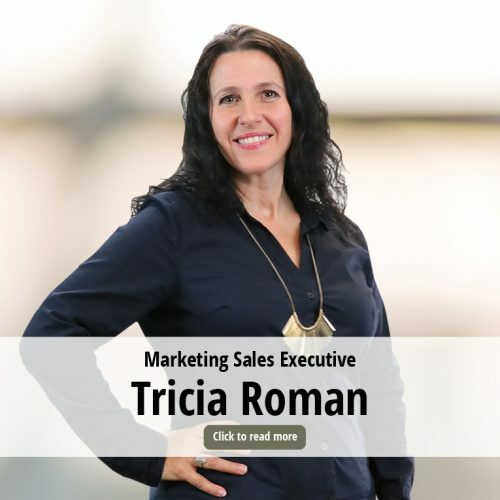 With more than 15 years of experience in traditional and digital marketing, advertising, and sales promotion, Tricia brings a wealth of marketing knowledge to the table, which enhances CMA’s business development efforts. Brag Time – Before joining CMA, Tricia held a variety of positions including chief operating officer, vice president of business development, and vice president of sales & operations at multi-channel marketing start-ups, in addition to media operator companies. Aside from quality time with her husband and four children, you can find Tricia spending her time outside of the office working on her fitness through running, cycling, hiking or kayaking. Our organization is staffed with the most creative, dependable, efficient and professional individuals in the marketplace. 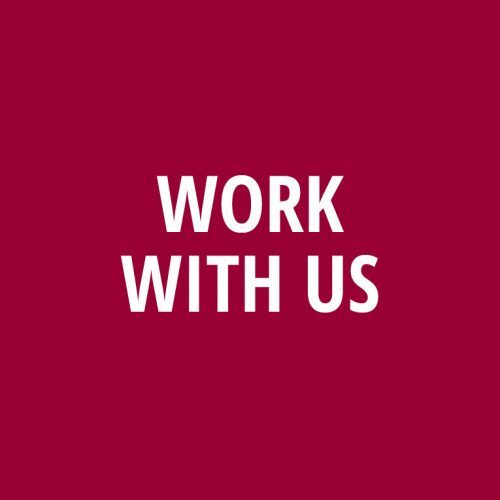 Looking to join the CMA Crew? Click here. 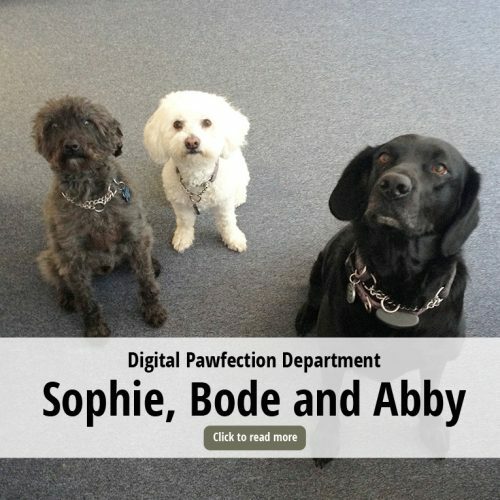 Our dedicated and close-knit digital department creates nothing less than pawfection. Sometimes we catch the trio in the conference room watching Breakfast at Sniff-anys to draw inspiration for upcoming projects. In their down time, Sophie, Bode and Abby enjoy sailing the seas aboard their dad’s boat, Captain Jeff Barnhart. Quick on her feet and considered the brainstorming queen (when Trader Joe’s treats are involved), Cali barks high praises of the CMA Crew to keep moral high and positivity flowing. On the weekends, you’ll find Cali running around her backyard chasing countless squirrels… until her mom, Erin Klebaur, finds out. Bacon, bacon, bacon, bacon, BACON. Babe runs the CMA ship. She knows every project’s status, all pitches that leave the building and which desks have the best treats to give. 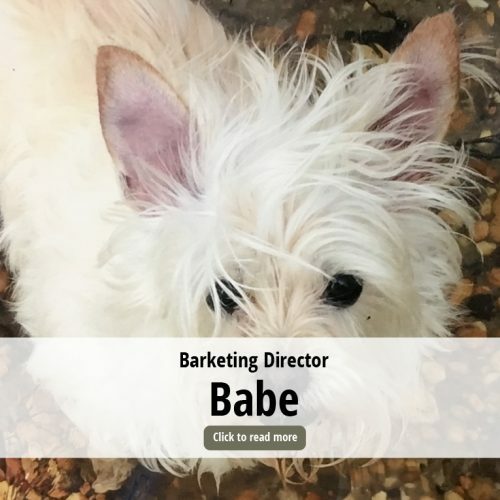 The barketing department would be nothing if not for her ability to see the pet-tential in each and every Crew member. 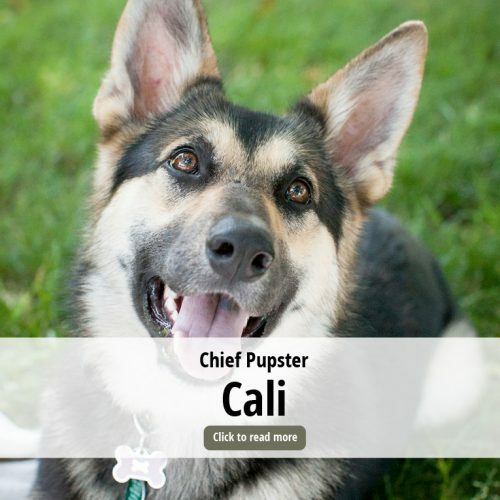 Known as one of the most active pups in the office, Babe’s PTO days are spent hiking through mountain trails and splashing in lakes and ponds – until her dad, Dave Sherwood, calls her back into the office to get work done. Salmon – she has a fine palate. Bone appetit! 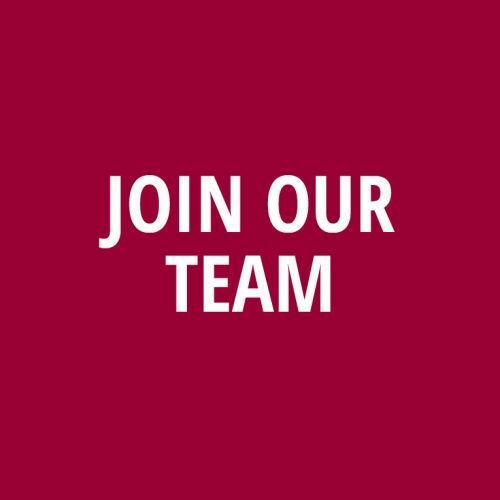 Looking for your new marketing team? Share with us your challenges and company objectives and see how the CMA difference can elevate your marketing efforts and support your sales goals. Get started today.